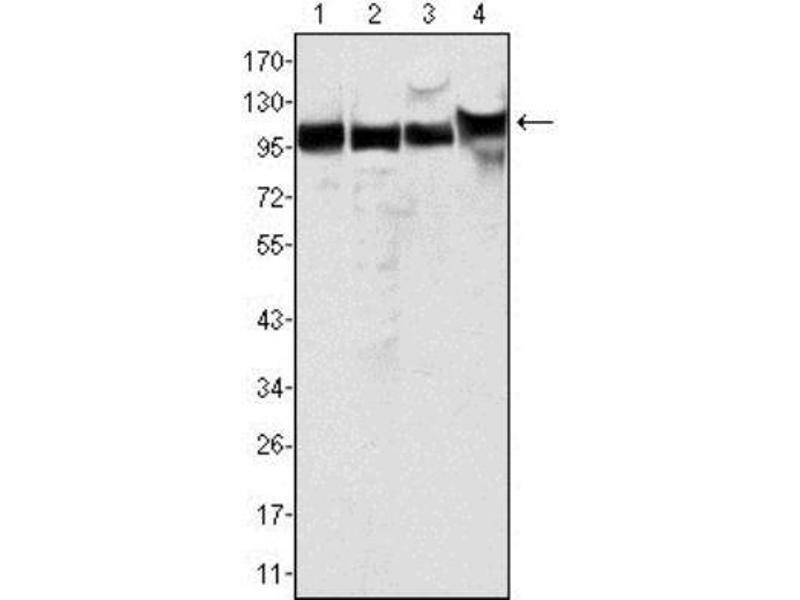 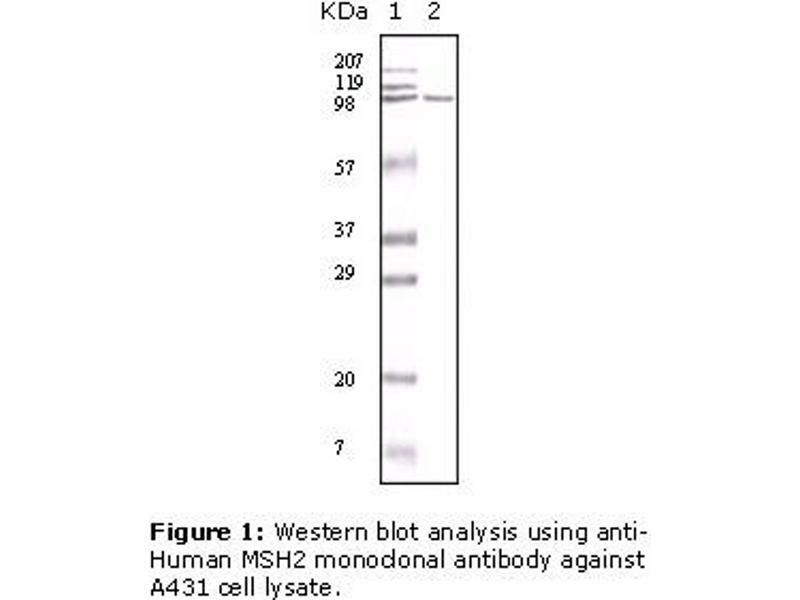 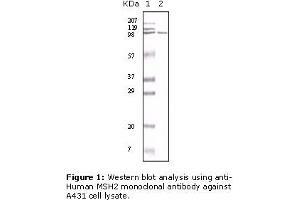 Western Blot: MSH2 Antibody (1B3) [ABIN151294] - Analysis using MSH2 mouse mAb against Hela (1), A549 (2), A431 (3) and HEK293 (4) cell lysate. 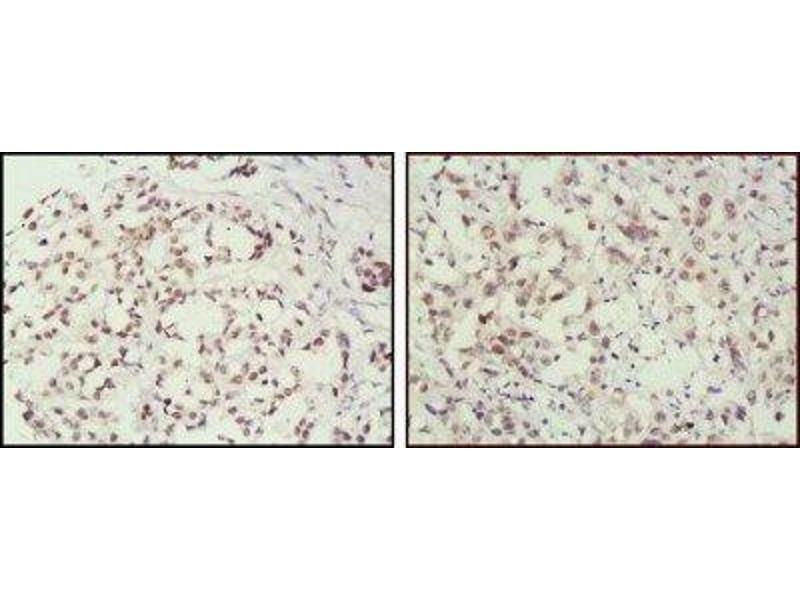 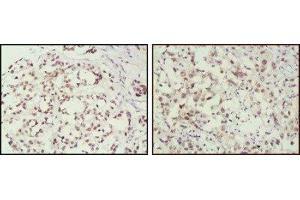 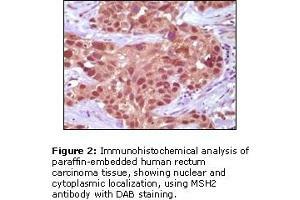 Immunohistochemistry-Paraffin: MSH2 Antibody (1B3) [ABIN151294] - Analysis of human breast cancer (left) and lung cancer (right) tissues, showing nuclear localization using MSH2 mouse mAb with DAB staining. 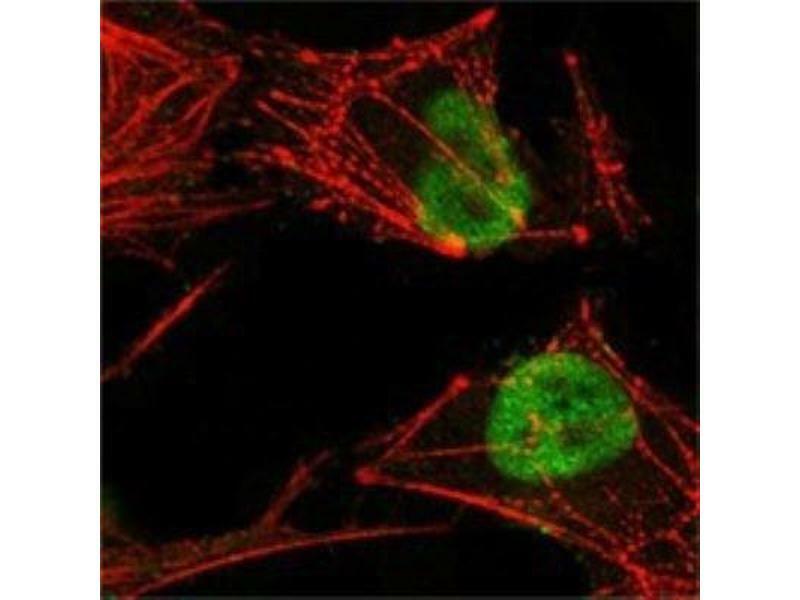 Immunocytochemistry/Immunofluorescence: MSH2 Antibody (1B3) [ABIN151294] - Analysis of Hela cells using MSH2 mouse mAb (green), showing nuclear localization. 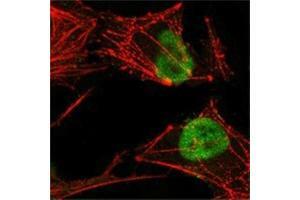 Red: Actin filaments have been labeled with Alexa Fluor-555 phalloidin. 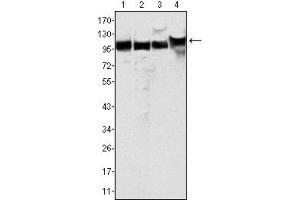 Indications d'application Western Blot 1:500 - 1:2000, ELISA 1:10000, Immunohistochemistry 1:10 - 1:500, Immunocytochemistry/Immunofluorescence 1:200 - 1:1000, Immunohistochemistry-Paraffin 1:200 - 1:1000The observed molecular weight of the protein may vary from the listed predicted molecular weight due to post translational modifications, post translation cleavages, relative charges, and other experimental factors.